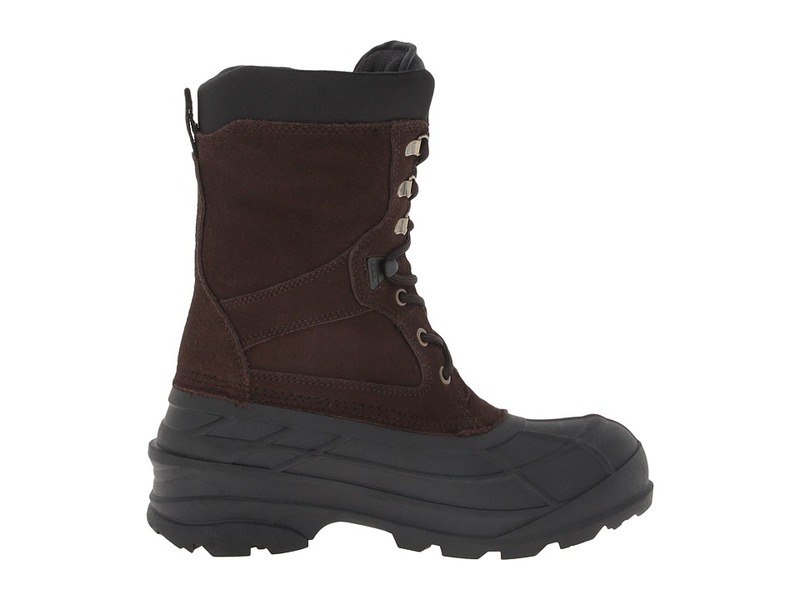 56248584147 Footwear Cold weather water insulated snow boots for men. 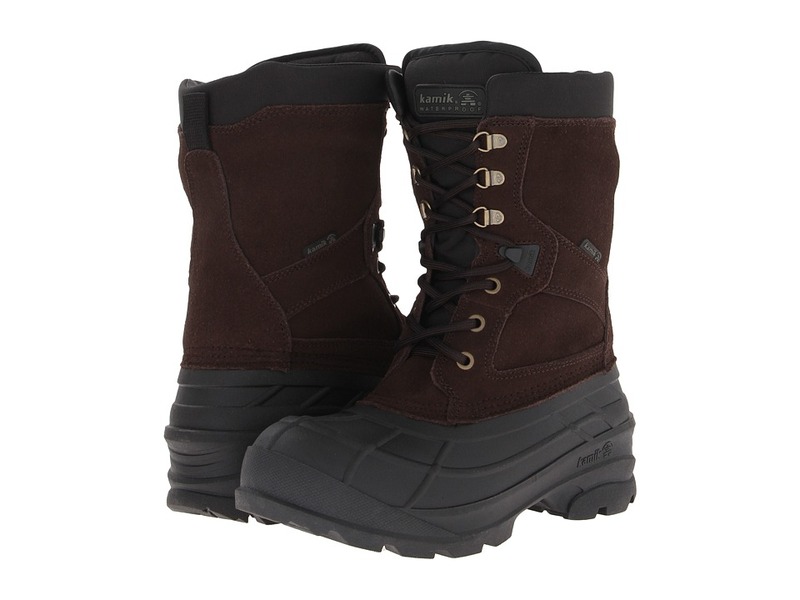 No matter what the weather decides to bring that day, you’ll stay warm and cozy with the Nation Wide boot from Kamik!Waterproof suede and ballistic nylon upper.Seam-sealed construction keeps out the wet elements.Waterproof and flexible synthetic rubber shell.Rustproof speed lacing system for easy entry and exit.Padded collar and waterproof gusset tongue offer added comfort and also guards against debris from entering the boot.Removable 200B Thinsulate foam liner for lightweight protection and warmth. 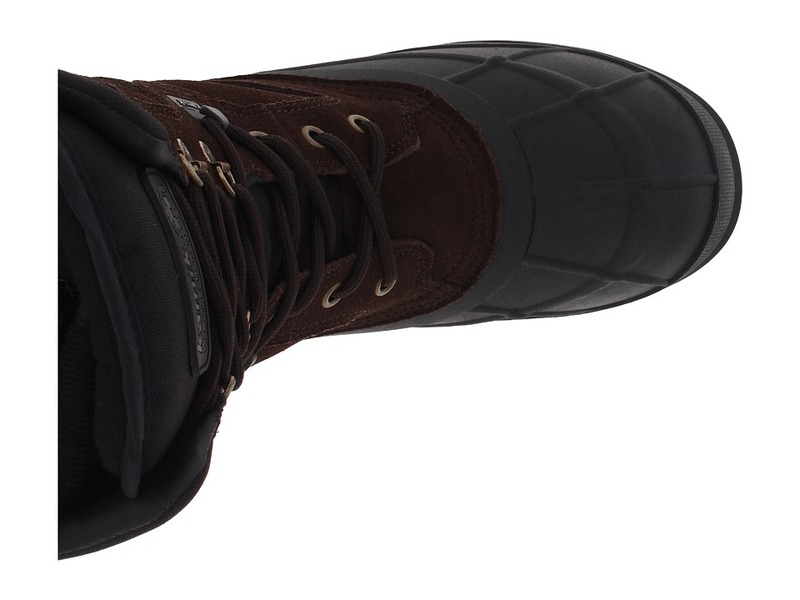 Moisture-wicking lining provides a breathable foot environement.Cushioned footbed provides all-day comfort. 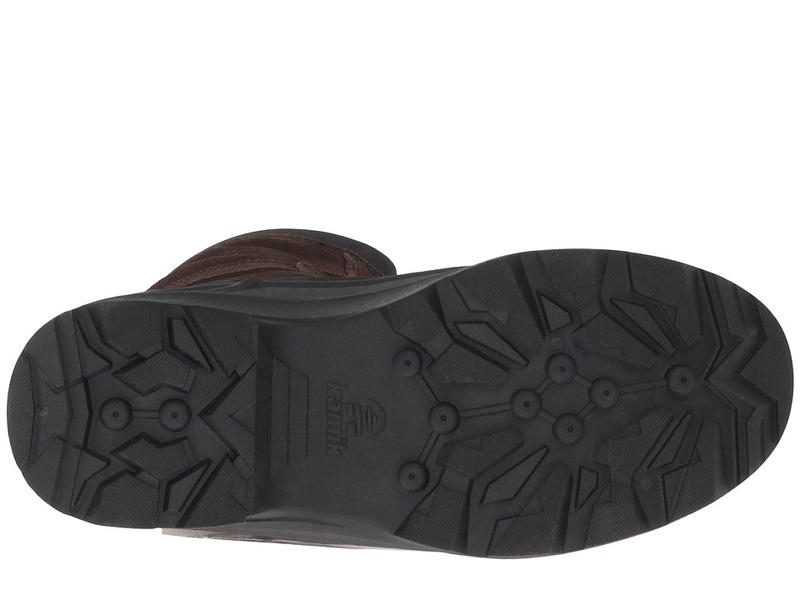 SNOWTREAD Synthetic Rubber outsole provides excellent grip and traction on wet, snowy surfaces.Temperature rated: -40 F/-40 C.Imported. Measurements:Weight: 1 lb 15 oz. Shaft: 9 1/2 in. Product measurements were taken using size 7, width D – Medium. Please note that measurements may vary by size.